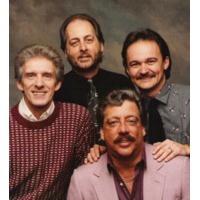 The Statler Brothers were an American country music group founded in 1955 in Staunton, Virginia. Originally performing gospel music at local churches, the group billed themselves as The Four Stars, and later The Kingsmen. In 1963, when the song "Louie, Louie" by the garage rock band also called The Kingsmen became famous, the group elected to bill themselves as The Statler Brothers. Despite the name, only two members are brothers and none have the Statler surname. The band, in fact, named themselves after a brand of facial tissue (they joked that they could have turned out to be the Kleenex Brothers).Don Reid sang lead. Harold Reid, Don's older brother, sang bass. Phil Balsley sang baritone and Jimmy Fortune sang tenor after replacing original Statler Lew DeWitt in the early 1980s due to the latter's ill health. DeWitt died on August 15, 1990 of heart and kidney disease, complications of Crohn's disease. The band's style was closely linked to their gospel roots. "We took gospel harmonies," said Harold Reid, "and put them over in country music." The group remained closely tied to their gospel roots, with a majority of their records containing at least one gospel song. They produced several albums containing only gospel music and recorded a tribute song to the Blackwood Brothers, who influenced their music.